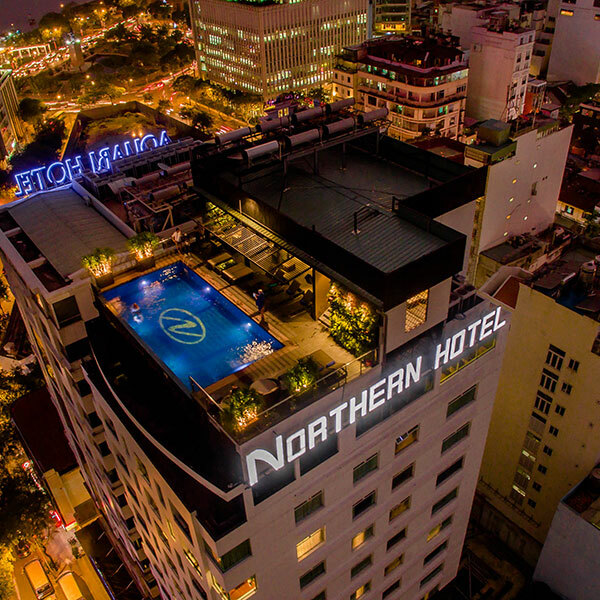 As of January 1st, 2018 Northern Saigon Hotel was put into operation after one and half month being under a big –scale renovation. Its owning company is now Sunrise Saigon Hotel Company Limited and the hotel name was rebranded from Thanh Lien Hotel which is no longer existing. Conveniently located on a busy street in downtown Saigon, Sunrise Central Hotel is just a few steps away from the historical Ben Thanh Market, commercial buildings, entertainment outlets and other sightseeing destinations. It is beautifully designed in modern architecture in a cozy setting and fully equipped with state-of-the-art facilities that provide utmost convenience and ultimate comfort. Whether you are on business or leisure Sunrise Central Hotel is absolutely a venue of choice for a memorable stay. All the rooms and Suites are equipped with well stocked amenities and feature IDD telephone, Cable TV, comfy bed with choice of double or twin, tea/coffee making facility, bathtub or rain shower stall. Extra bed available upon request at a surcharge. Facilities and service include 24/7 reception and security, a spacious Lobby, an elevator, a restaurant/bar serving breakfast, lunch, dinner and snacks through-out the day. Limited in-room dining is also served per order. All of these are for the needs of today's discerning travelers.